Decatur Third Friday Bike Ride Returns in April! Join Decatur Active Living for the return of the Third Friday Fun Bike Ride on April 17th. We will meet at the Decatur Recreation Center, just a short hop from the Decatur MARTA station, 231 Sycamore Street. The ride will go through scenic Decatur neighborhoods at a slow pace and is family friendly. We leave the Recreation Center at 6:30 pm. After we ride, we will visit a local watering hole for refreshment. Helmets are required and lights are strongly suggested for your ride home. This is an all-levels ride and no one will be left behind! There is parking available in the shared lot behind the Library. The ride is free! You can find more information at http://www.decaturga.com/biking and you can join the Meet-up Group here. 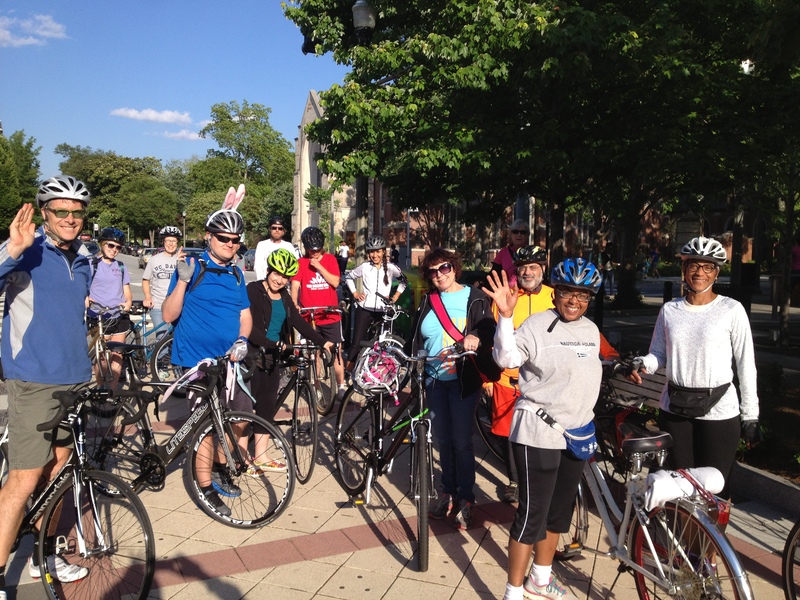 Riders From a 2014 Ride…Join Us!